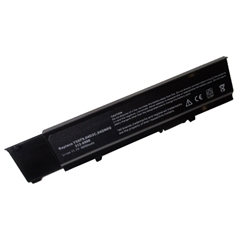 Description: New high quality laptop replacement battery. 11.1V, 6600mAh, 9 Cell. Compatible Part #'s: 7FJ92, TY3P4, TXWRR, 4JK6R, CYDWV, Y5XF9, 04D3C, 4GN0G, 312-0997, 312-0998. Dell Vostro 3400, 3500, 3700.